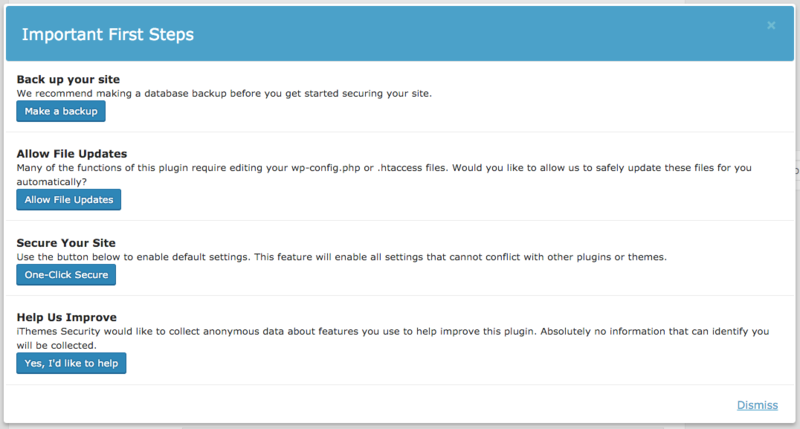 We are frequently asked what about various broad based WordPress security plugins and which ones should be used. Our answer to the second part of that is none of them. These plugins generally provide little protection against actual threats and have been found to have security vulnerabilities themselves fairly often. That second part might sound odd, you would think that someone developing a security related plugin would be very careful about the security of their plugin, but people that actually know about security would be unlikely to be involved in developing one of these due to the first part of that, that they don’t provide much protection against actual threats. So what you are left with is products generally developed by people that don’t have much concern for real security and in a lot of cases seem to be mainly interested in making money by taking advantage of the public that understandably lacks strong security knowledge. That results in lots of plugins and related services that end up scaring people based on bad or false information and that collect information from users under false pretense. If you are looking for some particular security feature you would be better off finding a plugin that doesn’t also include a kitchen sink of other features with it, since that reduces amount of code that could be harboring security vulnerabilities. The important things you need to do to keep your website secure are listed here. That all brings us to something we just ran across with one of those plugins, iThemes Security (formerly Better WP Security), which is listed as having 700,000+ active installs. One important element of any security product is trust, since the average user can’t verify that a product does what it says, they are trusting the developers in a major way. Any abuse of that trust should be a major red flag. That trust is something the developers of the iThemes Security plugin don’t seem to care about. Site Secured. Check the dashboard for further suggestions on securing your site. If you want to see that for yourself you can see the changes made in version 5.2.o here (doing a search on the page for “Register one-click settings” will take you to parts of the page where that is shown). What makes this even more incredible is how long ago this happened, version 5.2.0 was release on January 18 and the post pointing that out is now two months old, and yet it is still that way now. When they don’t care about misleading people with something that visible, then you have to wonder what else they might be misleading people about. We already spotted one other thing, but you will have to wait for a future post to hear about that.